I’ve taught dance for years and there is really nothing I like more than great sounding music. I’m a fan of it all.. Rock, Classical, Disco, Funk, Big Band, Country, Pop and even Dub Step, I love me some Dub-Step. Recently I was asked to DJ at a dinner club, I enjoyed it but their equipment was sub-par, so I’ve decided to buy my own. This post is simply blogging the trials and tribulations of a newbie DJ. It should be noted that if you have guaranteed gigs, you can very quickly pay off your investment of equipment. I was asked to prebook several events, so to me, the output of cash was well justified…and after it’s paid off, then you’re looking at pure profit. Out of the gate I purchased 2 15″ Carvin PA speakers with an amplifier ($730) (seen above). I used just the two 15″ speakers at two events..but I am a bit of an audiophile and was not quite happy with the bass of the speakers, so I recently purchased a 15″ Xtreme 1501 active subwoofer from Technical Pro (seen to the left). You can’t beat the price ($300) though I read both positive and negative reviews..I figured I’d roll the dice. So far I’ve only tested the subwoofer in my garage, but I’m EXTREMELY pleased by the sound…I had to play with it for a bit, but once you figure out the balance between speakers and sub, it’s pretty golden. Again, Keep in mind, I’m VERY picky about the sound and I’m digging this setup so far. Finally, I purchase the American DJ Festive Pak 2 for lighting via Amazon for $100. There are 3 lights, 2 of which I’ll be using, but the third is a basic strobe, which most people hate, so I’ll be tossing that…or saving for Halloween! NOTE: I had to learn this, so I’m passing it on to other newbies. There is such a thing as Powered (or active) speakers and Passive (or nonactive) speakers. Powered means they have their own power and don’t need an amplifier while Passive means they need an amplifier. Powered speakers generally run more expensive. My setup is two 15″ passive speakers that need an amplifier and a Powered Subwoofer. Powered subwoofers offer a more rich and deep bass from everything I’ve read…and if I’m going to invest, I want the best sound possible. In my case, I connect the two passive speakers into the amplifier via the right and left ‘speaker’ outbound, then connect the subwoofer to the amplifier via the ‘monitor’ outbound. This way I control the speakers via the ‘Main’ volume and the Subwoofer level via the ‘monitor’ volume. I’ve got two AV inputs on my amplifier so I have two different computers that hook in, each get their own volume on the amp. On one laptop I am using Club DJ PRO VJ6. It allows you to HDMI from your laptop to a large tv/monitor and run music videos while the music cranks from your speakers. The site says it’s $39.00 for only one more day…but it’s said that since I bought it 5 months ago. On the other laptop I use iTunes, which I was pleasantly surprised regarding how many dj friendly features iTunes has (auto fade, auto volume correction, song cue etc). As I mentioned, I’ve only used my setup 2 times and this last time I had two issues where the music went dead for a couple seconds (which when you’re dj’ing it feels like an hour of silence). I am not sure what caused it, but suspect the amplifier went out momentarily due to overload. I am starting a Ladies Night gig every Thursday at a nearby bar, so If it continues I’ll upgrade my amp and let you know how it goes. Final Note: Everything but the Carvin Speakers I purchased through Amazon, and it’s been a GREAT experience. 4/16/2014 – So I’ve done approx 10 gigs using the setup described below…and I’ve had some issues. My Carvin Amplifier (XP800L Powered Mixer) is not cutting it. Nearly every gig has some sort of issue. If I use just one speaker combined with my Subwoofer (sub with pole and 15″ speaker on top) then it works ok…but for the larger events, when I use both 15″ speakers along with my subwoofer, my amplifier will start dropping out (also known as clipping). It works fine for the first 1.5 – 2 hours, but as the party gets going you’ll find you’ll need to boost the volume. This is when I’ve had the problem, numerous times. I’m not even turning it up 3/4 of the way, just past half way and it’s starts having issues. Also, the USB port started to smoke when I plugged in my Phone adapter, that’s no good. I took the Amp into Carvin and they said the USB issue should not be happening, and I can reduce clipping if I rely on the Main volume control more than the Input volume control. I tried that at my last gig and it did not have any issues after 3 hours, but…the volume was not being challenged at that gig because it was more low-key event. I’ve researched and the Carvin XP800L delivers 140 watts per 8 ohms and my speakers are 8 ohms. 140 is not allot so I decided to update my amp. I’ve recently purchased the GTD Audio BM-226. I found it on Amazon and it’s REALLY affordable (around $170) …but it delivers 250 watts per 8 ohms, so that is nearly double what I currently have. The reviews were decent in regards to sound and power though the instruction booklet is pretty useless and is written in POORLY transcribed english. I have not used the new amp at a gig yet, but out of the box it’s very sturdy and it feels/sounds good. Lastly, I’m not using Club DJ Pro as much and rely more on Virtual DJ. I’ve found it to be easier to match beats and it works great with a USB headset. I have also found that 128 Beats Per Minute is the hot trigger for getting/keeping people dancing. So query online for popular dance songs that are 128 BPM to build your library. Lesson Learned: If you don’t have powered speakers, the Amp is the heart of the system and it needs to have power. I’ve had countless gigs now, mostly weddings, anniversaries and such.. Since purchasing the GTD Audio BM-226 amplifier I have not had a single clipping issue. This amplifier has proved to be WELL worth the affordable price (I hope I’m not jinxing myself). Quick notation, I did do a gig at a beach and required a generator. I thought a 2000 watt unit would do the job, but it did not. There fortunately was a 3500 watt unit on the premises used by another vendor. They allowed me to plug in and it worked fine. I was unable to plug anything ELSE in, but for just the amp it worked fine. I was a bit screwed when my laptop died ;0). Keep in mind, the other vendor was also pulling juice, so perhaps if I had the 3500 watts to myself it would have been fine. 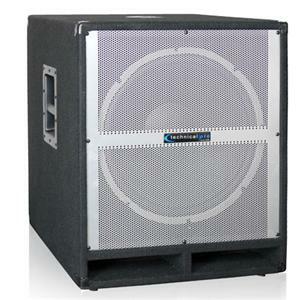 Please note, after 2 years now, both the Carvin 15″ speakers and the Xtreme Subwoofer have performed wonderfully. Well worth the money and I am now charging enough to where I’ve paid for my equipment 50 fold.